Barcelona is a fantastic city to visit however it comes at a cost with mobs of toursits and disappointing restaurants. Most visitors tend to stay in the safety net of the district of Ciutat Vella – the Old City, also known as the Centro since it accommodates to foreigners. You can find menus in English and your hotel is most likely located there. 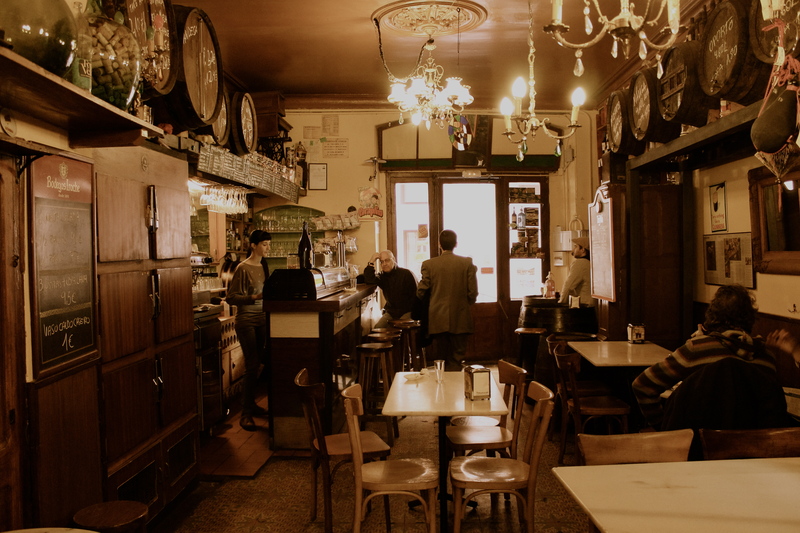 But if you’re craving something authentic and local, head to Gràcia. In my opinion, there’s no other place like Gràcia. Small shops line the narrow streets and countless sunny plazas welcome you at any time of day. You arrive and never want to leave. 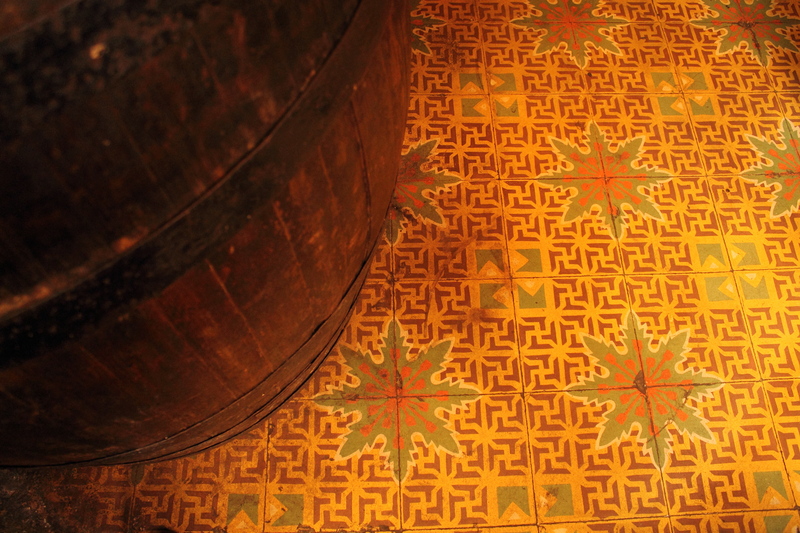 Quimet functions as a bar and bodega, wineshop. Before supermarkets people used to take in their own bottles of wine and refill them at bodegas and they still offer this service. 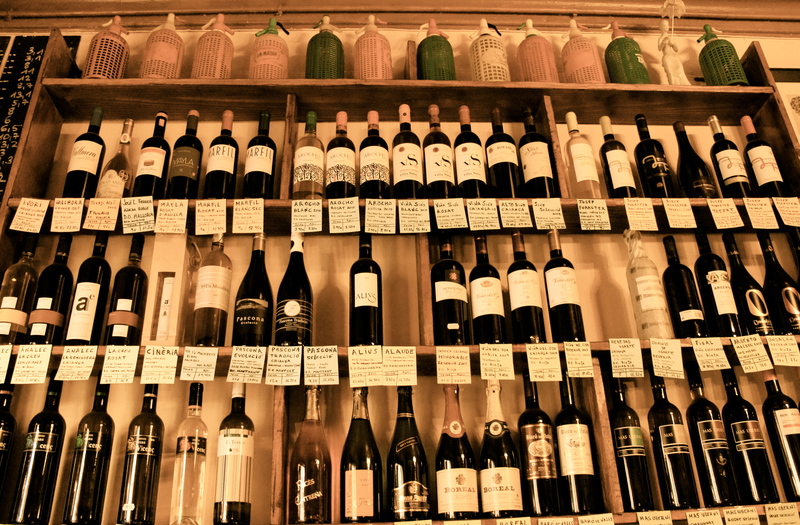 You can also purchase local handcrafted wines or pay another few euros to have it there. One of my favorite drinks is their homemade vermut. A daily special includes a glass of vermut and an anchovy for 3.50. It’s the prefect pairing and beginning. Speaking of anchovies, as a product of my American generation I always associated anchovies to something disgusting, a joke topping you would add to pizzas. Korea uses dried anchovies to create stock which they later remove. Spain but Quimet in particular opened my palette to the beauty of anchovies. A proper anchovy requires no effort to consume and literally melts on your tongue at contact. Quimet cleans and removes each bone of the finger length fish by hand in-shop. Their variety comes from northern Spain from the Cantabric sea and they are spectacular. (The special comes with another variety that is still delicious but lower in quality). 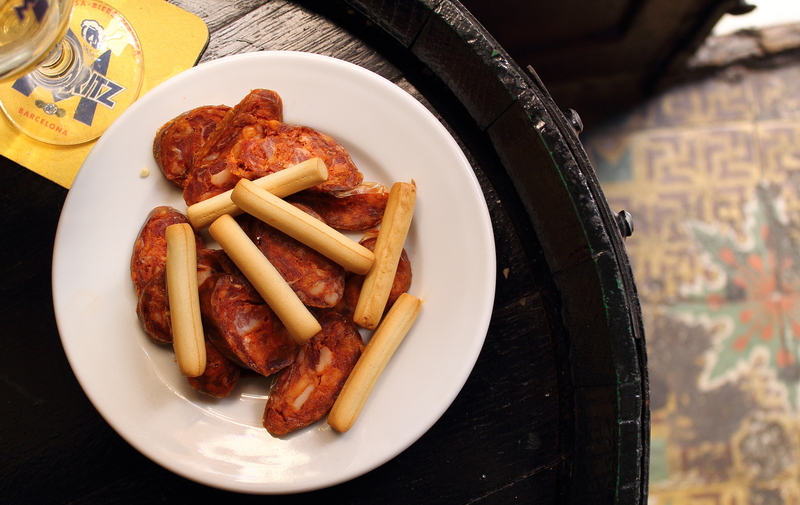 You can also find a selective variety of cured meats made from the Extremadura region. You can order a full order or a half order which is also plentiful. 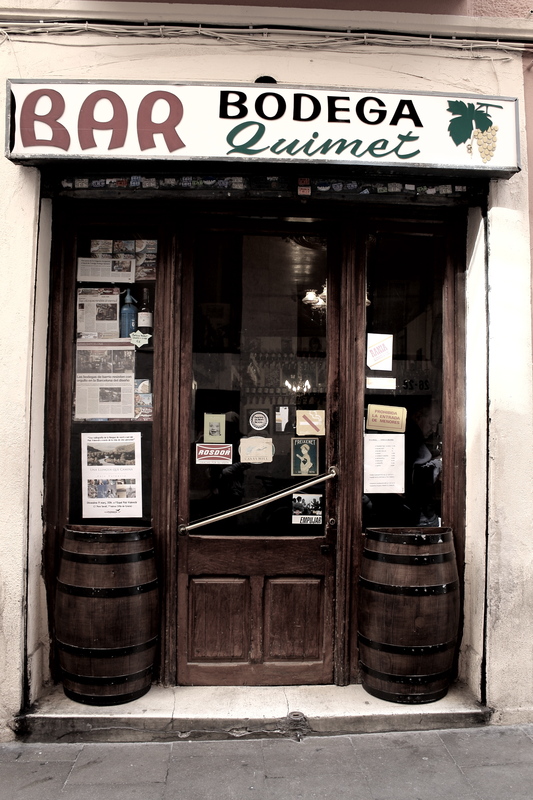 What makes their jamon, chorizo, lomo, salchichon, morcilla, etc special is that they come from a family who grow their own pigs and exclusively makes the cured meats for Quimet. One of my personal favorites is the chorizo picante, pictured above. 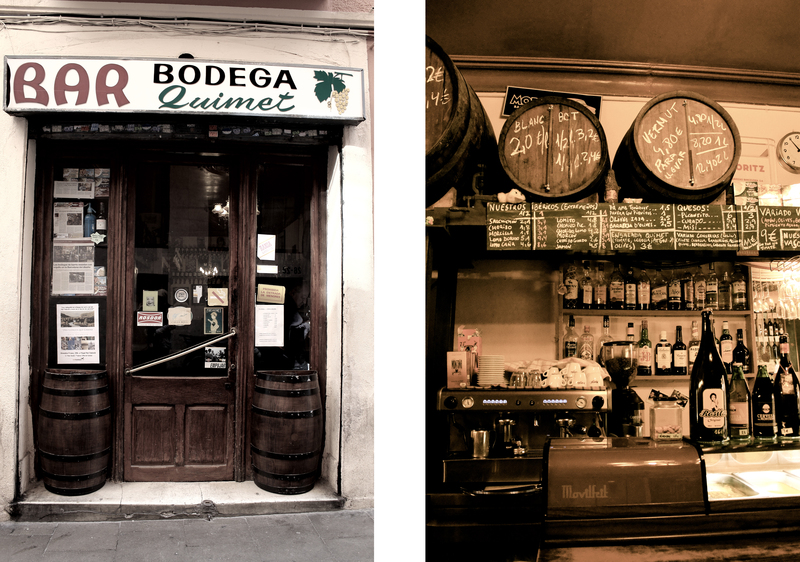 This entry was posted in Barcelona, Taste and tagged anchovy, bodega, gracia, jeno, quimet, taste, toda la vida, vermouth. Oh wow, beutiful chorizo! Barcelona is up there on my list of cities to visit. Thanks for the tip! That is a gorgeous place. Thanks! Let me know if you’re ever in the neighborhood I’d love to take you all there. besos!